Many DeLorean owners take great interest in knowing the production history of their DeLorean car, and the Museum has a fairly extensive record for thousands of the DeLorean cars produced. Using the "Lookup" below, you can enter the last five digits of your Vehicle Identification Number (VIN) and see what items are currently available for your car. 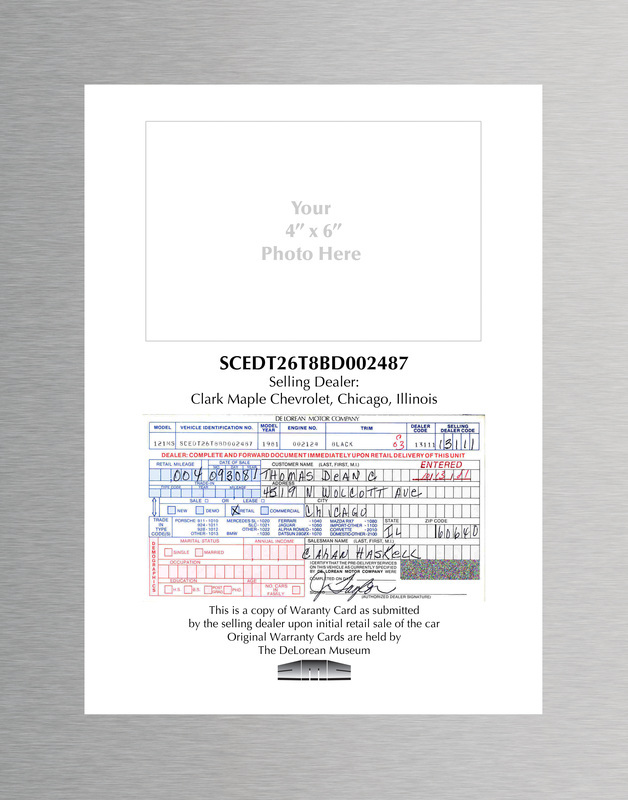 For a small fee, the Museum will provide you with certified documents containing this information for your records, while the originals remain safe in the DeLorean Museum archives for future owners. The Museum has these Original Owner Certificates available for thousands of 1981 models, and a handful of 1982 models. The data available for each car varies; generally speaking, the earlier production cars have more details as once the factory went into receivership and the US-based company began layoffs, data processing was less of a priority. 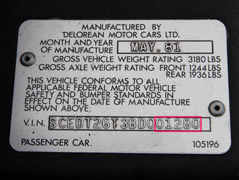 As the 1983 models, with VINs in the range of 15xxx, 16xxx, 17xxx and 20xxx, were brought to the States and sold after DMC was in bankruptcy, few official records of these cars have surfaced or are known to exist. 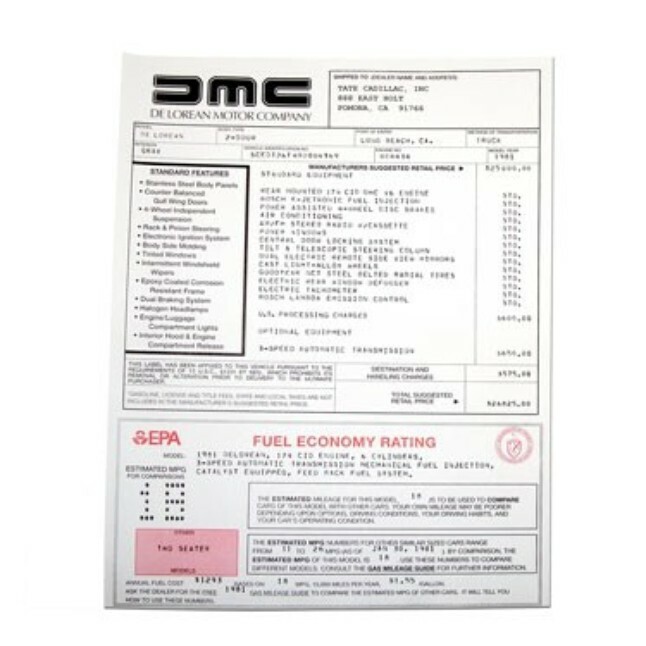 When DeLorean cars were sold by dealers, these cards were supposed to be completed and returned to the US-offices of DeLorean Motor Company to activate warranty coverage and provide a record of ownership for recall and other notifications from DMC. About 1,850 of these survive, the vast majority for 1981 models. As with the Original Owner Certificates, the earlier production cars are the most represented. Full-color, 11x14 inches and suitable for framing. The Museum is also able to make reproductions of the original window stickers for thousands of cars, again, mostly 1981 models but a fair number of 1982 models, as well. 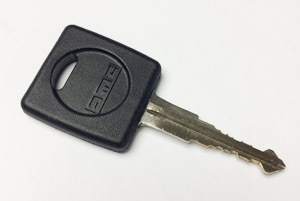 We are often asked if we can help provide replacements for lost or otherwise missing DeLorean keys. DeLorean Motor Company (Texas) has retained all of the data on keys for security purposes. 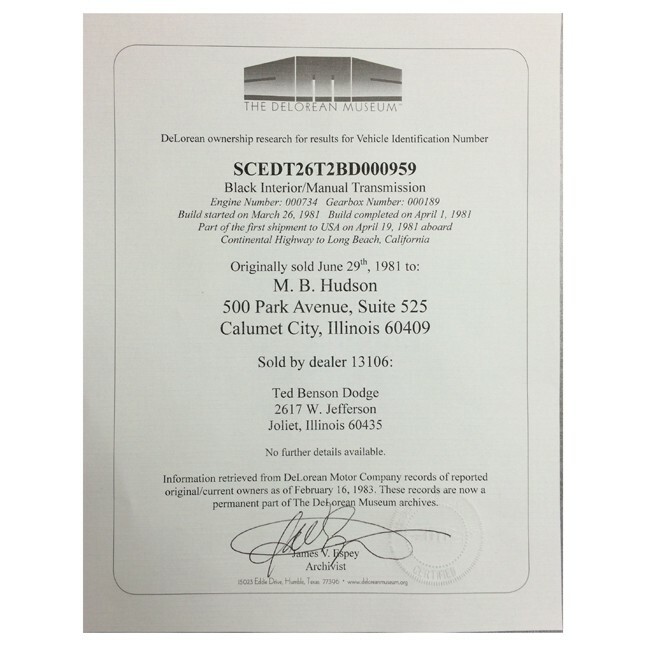 They are able, in many cases, to make keys based on just a Vehicle Identification Number (VIN) for a small fee. Read this PDF to learn more, or contact DeLorean Motor Company (Texas) directly.